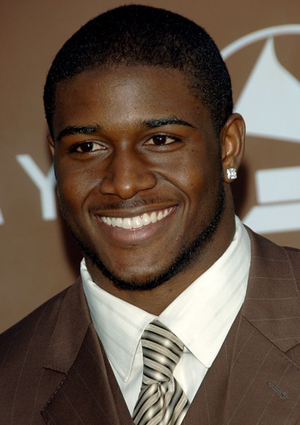 Here’s Reggie Bush – NFL Superstar, USC Alumni and a humanitarian. Bush has a football camp for young boys I. Which he and his staff mentor young and up and coming Football players. We are sure that he is a father figure and a mentor to all these young men. This Father’s Day he celebrated with his new little one Briseis and his long-time lady, Lilit Avagyan. This little girl is to damn cute! Congratulations mom and dad. Reggie looks so happy and it’s good to see him happy, in love and, and in the media for something other than about Kim K.
Next Story → Victoria Justice’s Single Gold Drops Today!